Photograph courtesy of John Stone, QEST and the RWHA. 2016 Crafts Council Injection participant. 2015 Perrier-Jouët Arts Salon Prize nominee (nominated by Amanda Game). 2014 QEST Scholar (Eranda Foundation). 2013 RSA RDI Summer School. 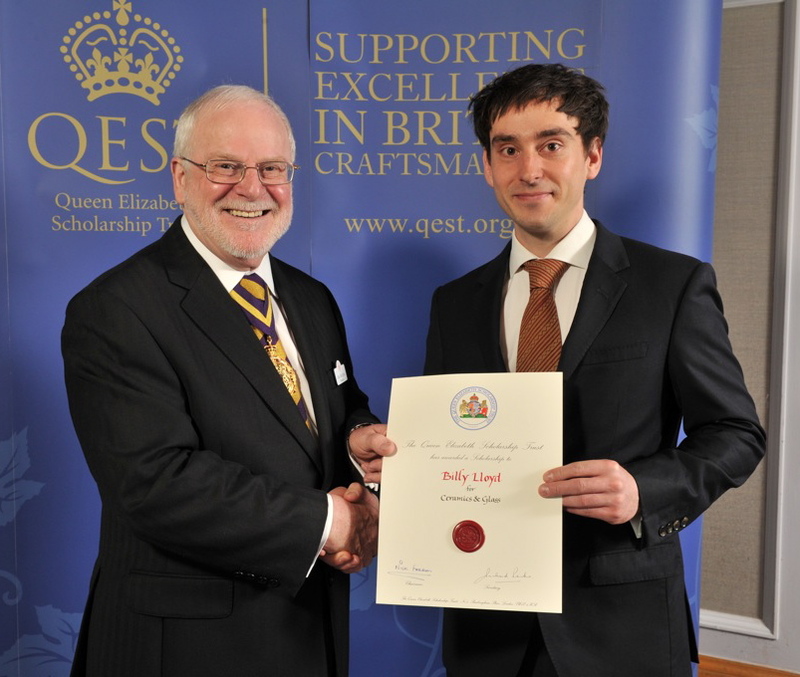 2013 Walpole Crafted mentee (mentored by Alistair Hughes of Savoir Beds). 2013 Homes & Gardens Designer Awards 'Young Designer' runner-up. 2012 ERDF Product Development & Manufacturing Consultancy Bursary. 2011 Cockpit Arts Award (co-judged by Priscilla Carluccio).